Gold Foil Invitations – Yes, Please! Foil printing is making a HUGE come back. 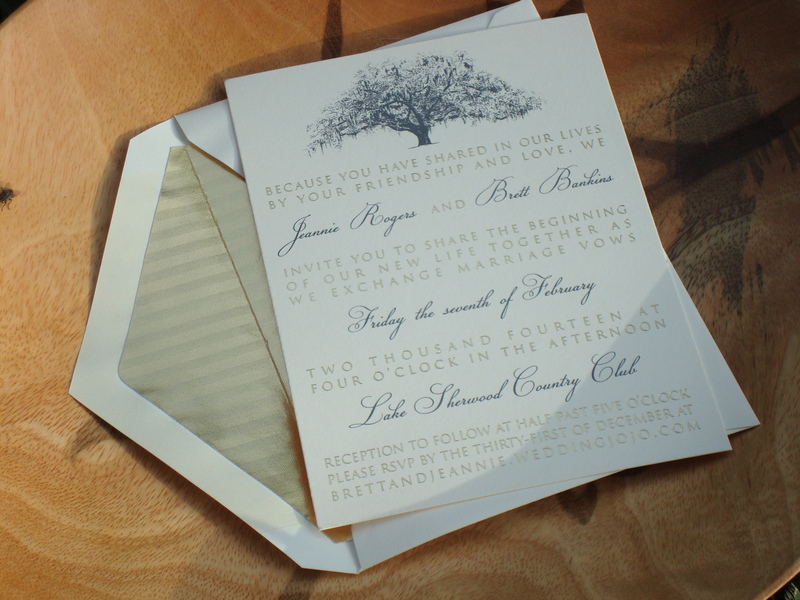 I mean, who doesn’t love a little flash of fancy when they open a wedding invitation? Foil printing also adds a lovely touch to menus (ahhh imagine that little glimmer in low lighting!) 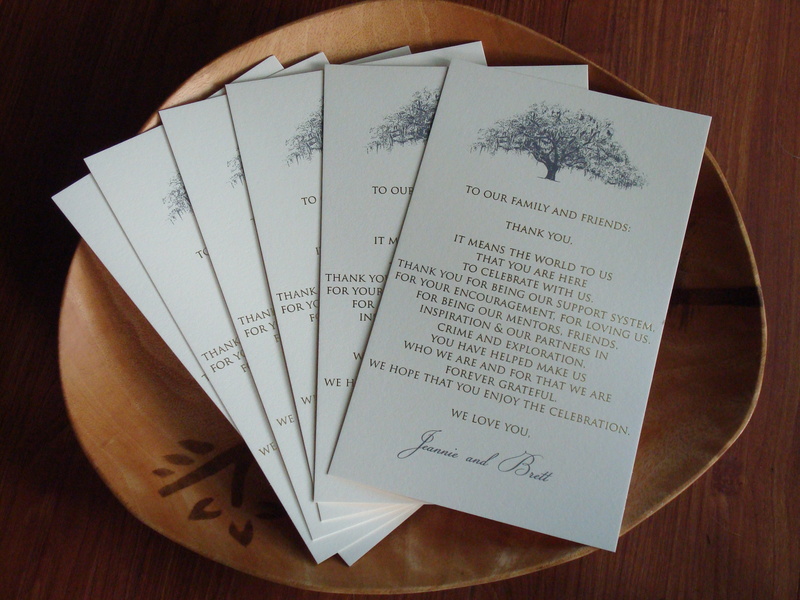 and as this bride requested, custom Thank You notes for her guests. Please disregard my lack of photography skills…I’m no Diana Daley. 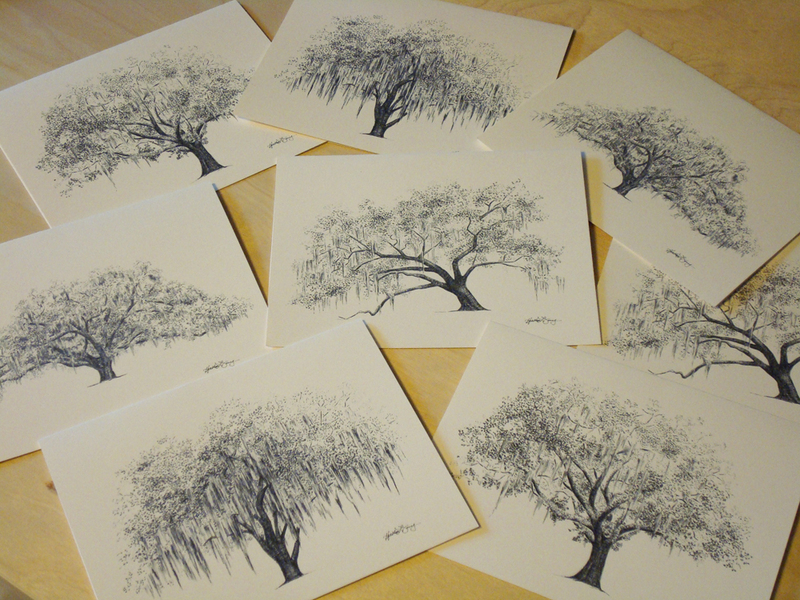 I currently don’t have these listed for sale in The Ink Lab…but I’m happy to provide you with a custom quote! Just plan in advance, since I don’t print them in-house. It’s taken 6 months longer than I anticipated to get these ready for the shop…too many decisions, I suppose…but Oak Notes are finally here! 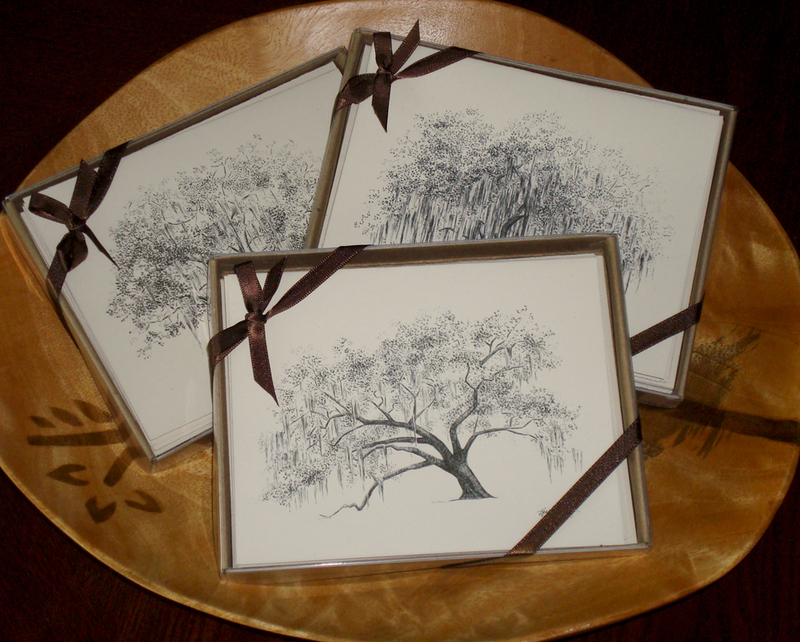 8 folded notes and envelopes featuring 4 different Live Oak Tree pen & ink drawings. 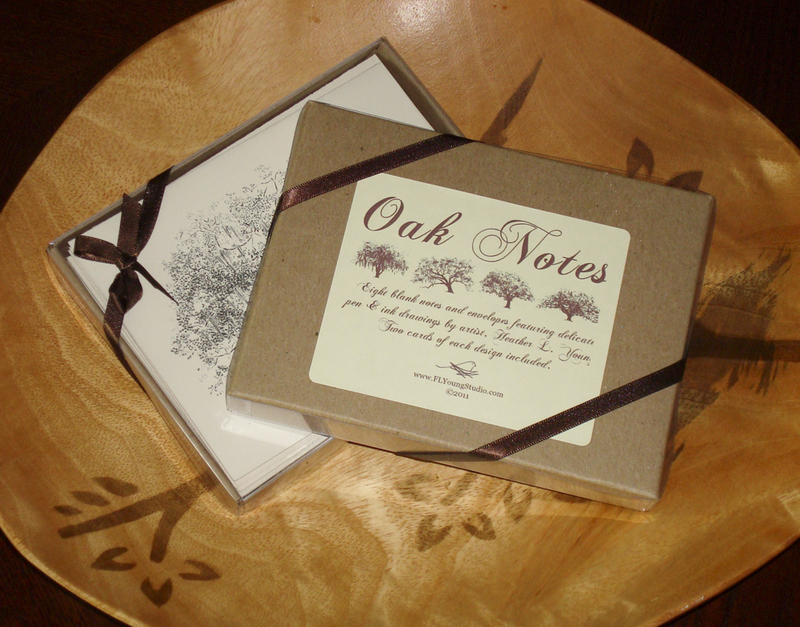 Each packaged in an eco-friendly, kraft paper box and topped of with a chocolate-colored satin bow.